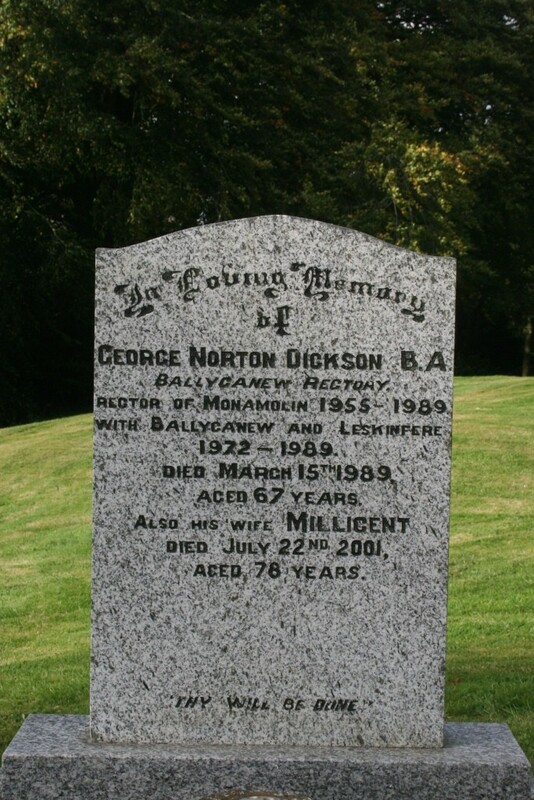 In loving memory of George Norton Dickson B.A. Balycanew rectory. Rector of Monamolin 1955--1989 with Ballycanew and Leskinfere 1972 -- 1989 died March 15th 1989 aged 67 years. 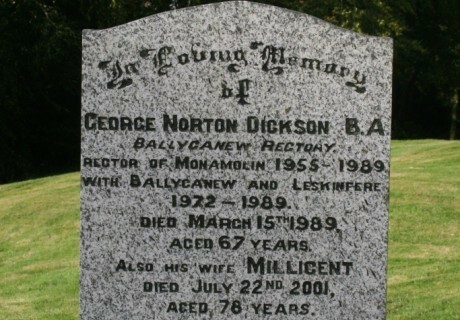 Also his wife Millicent died July 22nd 2001 aged 78 years.